What do you need to succeed at sports betting? A winning system? Deep pockets? Tips from the sharps? All of these can help—indeed, a reliable system is a must. But there are other things you need as well which may be less concrete in nature but which are no less important. A healthy mind and a healthy body will truly help you realize your goals. What ultimately separates winners from losers in sports betting goes far beyond bankroll, betting systems, and money management plans. Ultimately, you can have all of those things on your side and fail if you have the wrong mindset. Conversely, you can struggle to get a system and build up your bankroll and still make it over the long run if you have the right psychological traits. Receive a 50% bonus up to $1000 at Betonline.ag, as seen on ESPN, Forbes, Newsweek, Fox Sports, Sports Illustrated and USA Today, and also be sure to check out our Betonline honest review. It’s easy to feel like you were born with a certain set of characteristics and you have to carry those with you over the rest of your life, but a lot of traits are trainable. So even if you do not have winning traits now, you can develop them. Which mindset is the right one for success? Here are 12 traits which put together can go a long way toward helping you build a future as a sharp. Discipline is the ability to follow through on a set of rules, in this case rules which you set for yourself. You need discipline to follow your betting rules both in terms of money management and your system. You also need discipline to sit down every day to work on building your expertise. Some people do seem to naturally excel when it comes to self-discipline, but others really struggle with. If you do, it may help to know that most people have a hard time with it, especially when trying to do something as challenging as becoming an expert bettor. This is probably because discipline frequently requires willpower, and willpower is a limited resource according to the latest research. There is a point at which every person hits a wall, and does so, often repeatedly. Thankfully there are lots of willpower hacks you can look up, which in turn can help you bolster your discipline. A lot of it comes down to knowing your limits and managing your resources effectively each week so you don’t burn out. In fact, one of the best hacks for willpower is commitment, which functions as a kind of workaround. Willpower is depleted through decision-making; the more decisions you make, the more willpower you drain. Commitment stops you from having to make unnecessary decisions. That really stuck with me, because that guy was committed to the path to success. He didn’t wake up each morning and decide to try again. He just woke up each morning and continued with the venture he had already decided on long ago. By doing this, he saved himself from the endless back-and-forth dance which is common with those trying to learn how to bet for a living (giving up, starting again, giving up again, starting again, and so on). It’s exhausting to decide to do something really tough every day. So just make the hard decision once, and proceed from there. You’ll drain less willpower, which will leave more left over to simply follow through on that decision. That’s where the discipline comes in. We all get a little emotional but it’s important to not let those emotions control us. 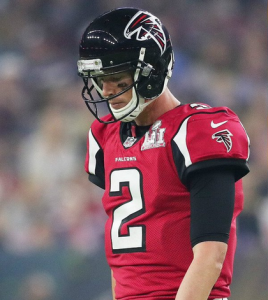 Another important trait for sports bettors who want to succeed is emotional restraint. Note that this is not the same thing as being an emotional vacuum. If you can actually put a lid on your emotions, great, go for it. In many cases (not all), it will help you out. But if you cannot, congratulations, you’re human. You still need to bet profitably. If you make your decisions based on rational analysis even when you feel the pressure of illogical emotions, that is a trait which will serve you very well as a punter. It’s not about getting rid of emotions; it’s about giving them only the weight they really deserve in your decisions. In reality, your beliefs about outcomes may influence them to some degree, but some factors will always be outside your control and will be unaffected by your attitude. That means you should look at optimism and pessimism (yes, both) as tools to help you shape future events to whatever degree possible and not as guarantees that events will go a certain way. So let’s assume that your goal is to become a professional sports bettor. The key is to motivate yourself and bolster your psychological state so that you can weather the challenges along the way. Being optimistic about your prospects as a sports bettor can help you put in the hard work demanded—despite the fact that realistically, success is not a guarantee (indeed, most people will fail at this venture). This in turn increases the chances you will succeed. As an optimist, you may be more willing to take risks which are necessary to achieve your goal. Sports betting necessarily entails risk, so it is a tough profession for the deeply risk-averse. Optimism can help to stave off anxiety and tolerate stress (you will face plenty of both trying to bet for a living). It is common for optimism to pave the way for creative thinking. You have already determined that you will win, so all you have to do is discover how you’ll do it. This mindset may make it easier for you to identify or develop solutions. Basically, the belief that the path is already laid at your feet may make it more likely you’ll recognize it when you see it. If you are so pessimistic you doubt whether there is a path, you may overlook it. Pessimism may act as a reminder that some risks are not worth taking, even if others are. A balanced attitude toward risk is a must for any bettor. A pessimistic attitude can provide a protective effect against disappointment. Newbies who rush into sports betting expecting overnight success are often devastated when it doesn’t happen. These bettors are often crushed enough to quit. Those who walk in with less sunny expectations are more likely to be psychologically prepared for setbacks and able to keep going. They know what they’ve gotten into, and do not have to face such a severe clash between expectations and reality. There are advantages and disadvantages to both sides of the spectrum. Make them work for you. Pessimism can allow for experiences of delight which are unavailable to optimists. When you are pleasantly surprised when things go your way, that can add some real delight to your day. Optimists expect things to go their way, so they experience satisfaction, but not the delight which accompanies an unexpected boon. Sometimes the expectation of disaster can serve as a critical motivating force. Say for example you have had a string of bad bets lately and you have every expectation that this will continue if nothing changes. This can motivate you to work hard and think outside the box to find a solution. An optimist might just assume things will fix themselves, and continue digging deeper into the same hole. A pessimist is also unlikely to sit on his or her laurels. A string of good bets certainly indicates things are going well, but that does not mean that there are not plenty of waiting pitfalls. Expecting those pitfalls may help someone who is doing well to take actions to prevent a decline in future performance. There is also something called “defensive pessimism.” This is a deliberate method which some people use to prepare for challenging or anxiety-inducing tasks. By lowering expectations on purpose and thinking through all possible negative outcomes, defensive pessimists are able to prepare for them in full. Note that to count as defensive pessimism, this act must be deliberate and intentional. It must also not involve excessive rumination on the past. The past may be taken into account, but the strategy is forward-facing. You can read more about all of this here. It’s a fascinating read, and hopefully will help you utilize optimism and pessimism as tools rather than simply taking them for granted as global mindsets. As a punter, you need to be able to think logically when you are looking at betting opportunities. It is okay to let emotion factor into your decisions, but ultimately you need a rational basis for all of your betting decisions. This is pretty self-explanatory, so I won’t go deeper into it. In other words, you can persevere through great suffering, (like an unwanted 9-5 job) but you can never face suffering with grit. Grit is reserved for activities which you care deeply about and are voluntarily participating in. Those who have grit for an activity like sports betting have a strong advantage over those who do not. Their passion for betting combined with their perseverance in the face of struggle helps them stay on target through thick and thin. It also helps to bolster their energy and willpower. Note that grit doesn’t necessarily look the same from person to person or from one pursuit to another. There is often an assumption that someone who is really passionate about an activity is enjoying every minute of it, and is constantly excited about what they are doing. Oftentimes, however, grit doesn’t look like that at all. Emotion isn’t everything, and an activity like sports betting involves a lot of detailed, methodical, and often repetitious analysis. Passion for something like that may be accompanied at times by frustration or even boredom. If you do think you have some grit, do what you can to keep your passion for betting strong—and forgive yourself for those days when it feels tedious. Having those days doesn’t mean you are not passionate or that you don’t have grit, it just means real life isn’t like TV or a film. The action isn’t always fast-paced or exuberant, and that is perfectly okay. 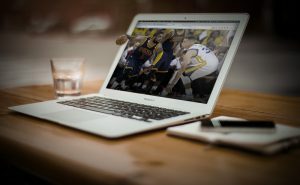 The key to success as a bettor lies in part with finding strategies, techniques, and methods of analysis which can produce good results time and again. If you take a random approach, you will get random outcomes, and that will never produce an edge. If you stick rigidly to your strategies, however, you will encounter other problems. The real world is fluid. There are regular changes with athletes, field conditions, rules, and so on. Even the meaning of statistics can change over time. Strategies which worked last year or even last week may sometimes not work within a different context. Going forward, you might need to do something new. That is why you need to be adaptable. This can be one of the toughest traits to master. After working so long and hard to get results, you may just want to take a break. The last thing you’re going to feel like doing is keep refining them. But if you do not make adjustments as needed, you will not continue getting the results you are after, at least not indefinitely. Change is just about the only thing that is guaranteed in life and in betting and your approach needs to reflect that. Being proud of your accomplishments and having high self esteem is very important if you are trying to accomplish a challenging goal like becoming a professional sports bettor. But there is a point at which pride can go too far, and that is when you stop recognizing your own weaknesses and mistakes. This is very dangerous, since that puts you at the mercy of those faults. For that reason, it is vital that you cultivate humility. That way when something goes wrong, you will take a look at what you are doing. You do need to weigh other factors as well, but turning a blind eye to your own actions never works. The good news is that if a lost bet is your fault, the power is in your hands to do something about it. So if it is hard for you to be humble, just remind yourself that more humility means more control. More control is always a good thing. Like anything else, Online Gambling requires further learning. The more you know, the happier you’ll be in the long run. Next up on our list of traits for successful bettors is a passion for learning. If you are taking a career-minded approach to betting on sports, you cannot expect to just read a bunch of books, test a bunch of strategies, and then bet successfully for the rest of time. As mentioned earlier, sports betting requires adaptability. In turn, adaptability requires learning. You will continue to read about sports betting and test new strategies for as long as you are a punter — at least if you want to keep winning. You can think of this as a continuing education requirement. The more you enjoy learning the easier this process will be to integrate into your daily routine. Those who enjoy learning also tend to do a better job retaining knowledge and forming new connections. If you can dedicate yourself to the process, you should be rewarded now and in the future with greater sports betting success. How much money is in your sports betting account right now? $100? $200? Maybe $1,000? More? Less than $100? Perhaps just $50? A few punters can claim to have large betting accounts, but most people are not going to have $10,000 or more sitting in their bankrolls starting out. I have actually heard people claim that you “cannot” bet for a living if you are going in with a small bankroll. The thinking is that if you only have $100 in your account, there is no way you are going to be able to stand placing the tiny bets you will need to in order to be managing your money responsibly. Eventually, you’ll wager 20-30% (or more) of your account in a desperate bid to grow your bankroll. Does this happen? Of course, and it happens a lot. It is hard to stay patient. You think, “Well, I will just bet 20% temporarily. After I double my account, I’ll drop down to 10%, then to 5%.” You make a few bad bets, and suddenly your bankroll is all gone. But it does not have to go this way. You are in control of your actions, and if you have patience, you will be able to resist this temptation. It is entirely possible to grow a small bankroll gradually. Having low funds to start with should not prevent you from becoming a successful and lucrative punter. A well balanced life is a successful life. If you are trying to make serious money through sports betting, you are essentially an entrepreneur trying to establish a new business for yourself. That means that if you are motivated and dedicated, you are probably going to feel tempted to put in countless hours of work each week. Of course, there is no such thing as “countless hours” in a week and however much we might talk about “making time,” in real life, you only have so much of it to use. Like time, your energy and concentration are also limited. So you can only go so long putting in 80-hour work weeks before something has to give. It’s a misconception that the most successful sports bettors are those who literally give betting their all. When you are working on betting, you should of course be giving it 100% of your concentration and effort. But you also need to set aside time and energy throughout the day for your 9-5 job, family and friends, and so on. Otherwise, sooner or later, the consequences will catch up with you. When that happens, it’ll hurt your burgeoning betting career too. On the other hand, there are benefits to a balanced life which might not be obvious right away. When you take care of every aspect of your life, your body and mind are healthier and more balanced as well, and that can have nothing but a positive impact on your betting. Plus, you may find unlikely sources of inspiration and ideas for betting while doing other things. 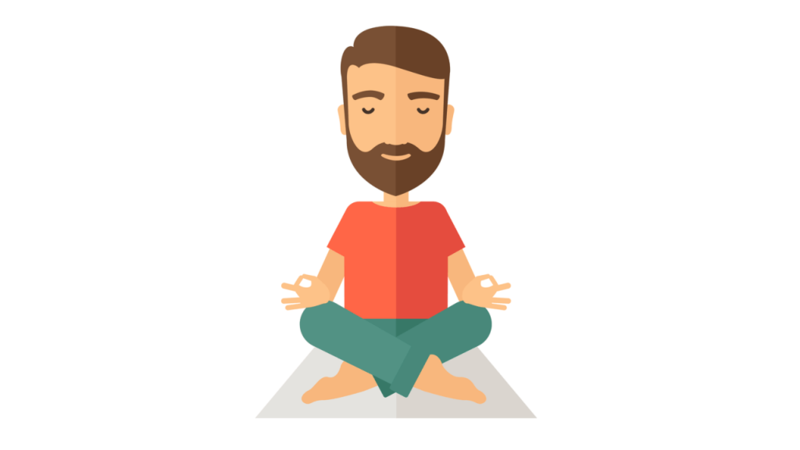 Leading a balanced life can also help you maintain perspective emotionally while betting. You will be happy about your wins, but you will not blow them into more than what they are, which can keep you humble. 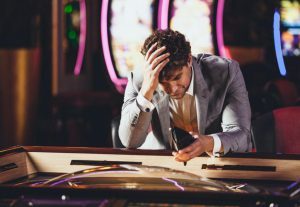 On the same token, you may be upset when you lose a bet, but you are less likely to feel like it is the end of the world. Finally, if I had to pick the number one most important psychological trait for any sports bettor, whether serious or casual, it would be honesty. The ability to be upfront with yourself about your mistakes and to recognize both your strengths and your weaknesses is indispensable. Without honesty, you cannot objectively assess your performance. You cannot make improvements to how you bet, and you cannot hope to become more profitable, consistent and efficient. This is a matter of being honest with yourself, which can be much harder than being honest with other people. Often we lie to ourselves without even realizing it. We think we really are betting responsibly and wisely when we are not. Pride can be a factor in missing the truth, as can simple ignorance. Thankfully, self-honesty is a trait and a skill which can be developed with practice and dedication, like all the other attributes on this list. Eventually, you will get to be better at evaluating your own performance. As you do, you will be able to grow in all of your skills. To make a living as a sports bettor, you are going to need strategies that work, a money management plan, and enough of a bankroll where you can get started. But without the right mindset, all of these things will go to waste. 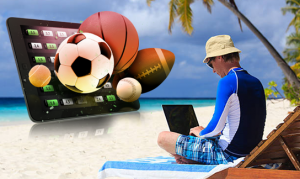 But if you have the commitment, patience, honesty, adaptability and other key traits to leverage those systems and tools for success, you may have a shot at joining the elite few who can claim to make a living betting on sports. How Many Different Types of Bets Are There? Find out!